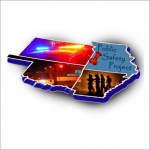 South West (SW) Missouri Public Safety and Emergency Medical Initiative received a $2,907,224 Round Two TAACCCT award to expand capacity as well as develop and experiment with a number of innovative instructional and student support strategies. Such strategies were designed to improve public safety within the community as well as meet the needs of targeted populations seeking to acquire industry-recognized program awards and credentials and gain employment in criminal justice, fire science, and emergency medical services occupations. Employer input and engagement were used to redesign three public safety programs: Fire Science, Criminal Justice, and Emergency Medical Services. Employers reported satisfaction with their Crowder College partnerships and suggested that the overall quality of public safety workers in the service area was enhanced.